GEORGETOWN COUNTY, SC (WCBD) – A military ordnance was safely removed from a building site in Garden City on Friday. 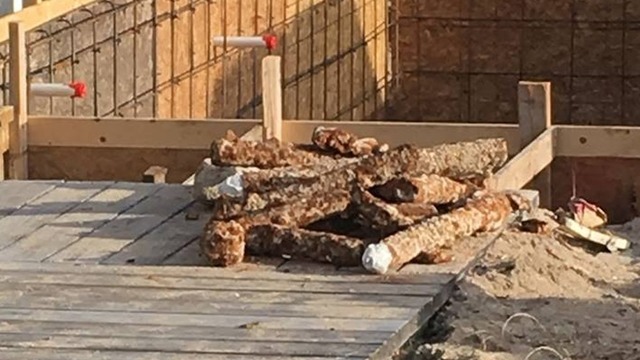 Deputies with the Georgetown County Sheriff’s Office said a swimming pool construction crew dug up about a dozen corroded artillery munitions in the homeowner’s backyard off South Waccamaw Drive. We’re told the munitions date back to the 1950s. Deputies were able to secure the scene until personnel from Shaw Air Force arrived to remove them for disposal.